Mixing, the easy way. Save time and effort without compromising on end result. Mixing and mastering is hard. It’s an art that often involves long and complicated chains of effects, routing, busses and sends. EZmix 2 revolves around one central fact: to remove all that and serve you with quick and easy-to-use tools that let you apply professionally settings to all your audio sources. 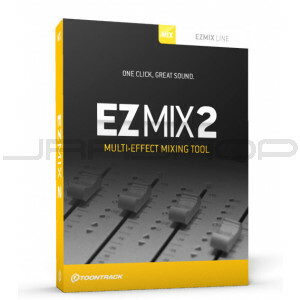 Essentially, EZmix 2 is the world’s most intuitive tool to make sure your songs always sound great – quick, easy and without involving expensive outboard, studios or engineers. In EZmix 2, all that is already at your fingertips. You deserve to sound great. Start mixing! 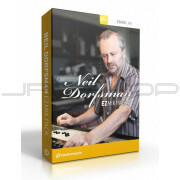 Making great sounding mixes has never been easier. 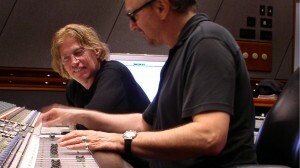 The effect chain settings in EZmix 2 and all EZmix Packs were carefully crafted by seasoned mixing engineers. 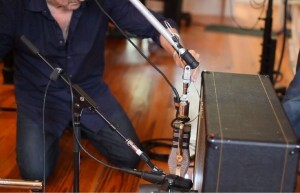 Lend some pro secrets and platinum record magic to your music – it deserves to sound great! EZmix 2 has a large amount of ready-made settings based on some of the most classic vintage and contemporary guitar and bass amps, speakers and stomp boxes. Whether you are working stand-alone or in a host, simply plug your instrument straight into your sound card and start browsing among the tones. 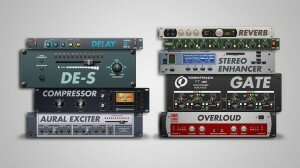 Combing several plug-ins on multiple channels can slow down even the fastest computer. 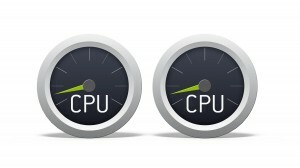 With EZmix 2 you only use ONE instance on each channel instead of MANY and end up reducing your CPU usage to a minimum. 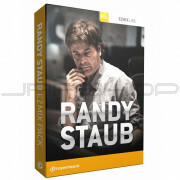 With EZmix 2 you can make flawless mixes on low resource systems or in mobile situations. 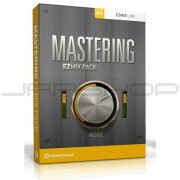 EZmix Packs expand the core content in EZmix 2 with new settings. 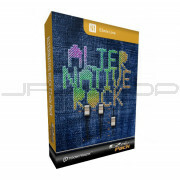 The selection is continuously growing and currently includes material by Grammy Award-winning engineers, packs for mastering, vocals, guitar and bass as well as those for specific genres or common mix issues.